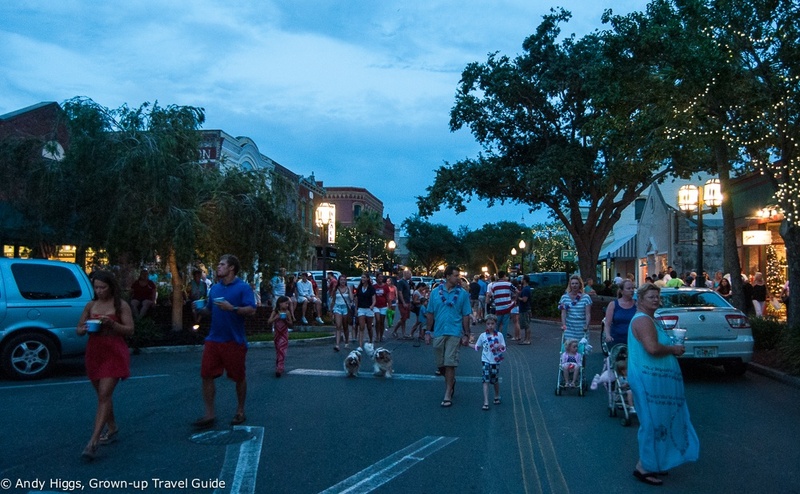 If St. Augustine was a welcome change of pace after Orlando, Amelia Island was more akin to switching off the motor and coming to a relaxing stop. 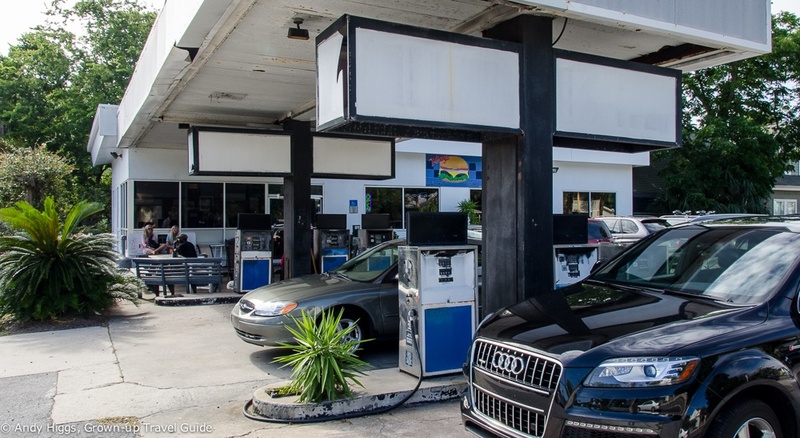 Naff car-related metaphors aside, this was our first taste of small-town, old-fashioned Florida and it certainly made us realize just how much variety the sunshine state can offer. 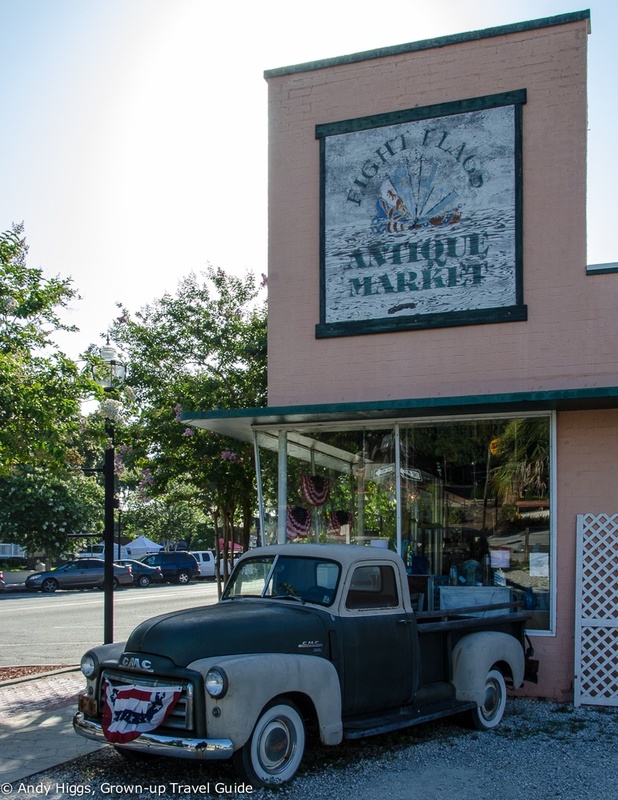 You’ve probably never heard of the place but you’ll find Amelia Island in the far north-east on the Florida coast, within a few miles of the border with Georgia. 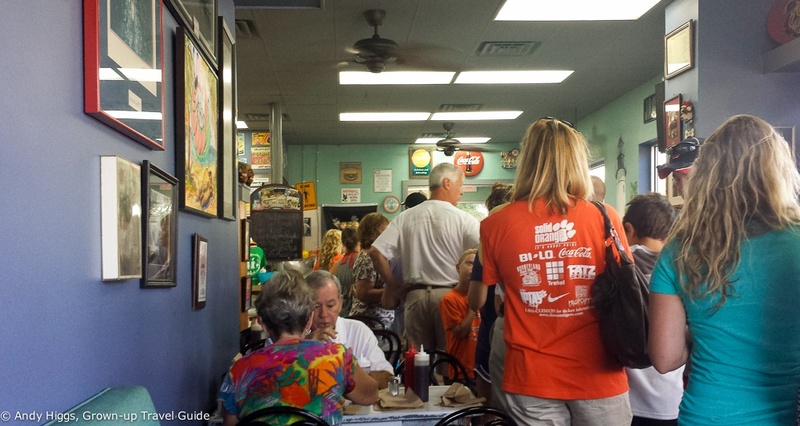 Indeed Savannah is only a two-hour drive up Interstate 95. As a huge fan of the Clint Eastwood movie “Midnight in the Garden of Good and Evil” I would have likes to make that drive but we decided it was a bit too much of a detour for this particular road trip. 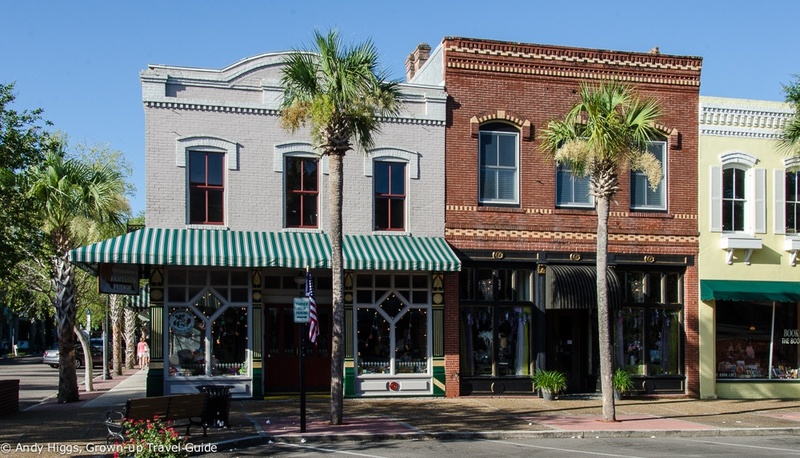 In any case Amelia Island has plenty of Southern charm which is especially evident in its only town, rather confusingly called Fernandina Beach. Well there is a beach, but it’s a fair distance from the historic town centre on the opposite side of the 2-mile wide island but I would be the first to agree that “Fernandina Port” is a less appealing monicker. I guess I’m being pedantic here, as usual; in fact the island has 13 miles of fine beaches running down its eastern Atlantic coast which attract sun worshippers and are especially popular for newbie surfers. Back over on the western side at Fernandina the Victorian buildings have been lovingly restored and preserved and offer a great backdrop to a stroll around town. 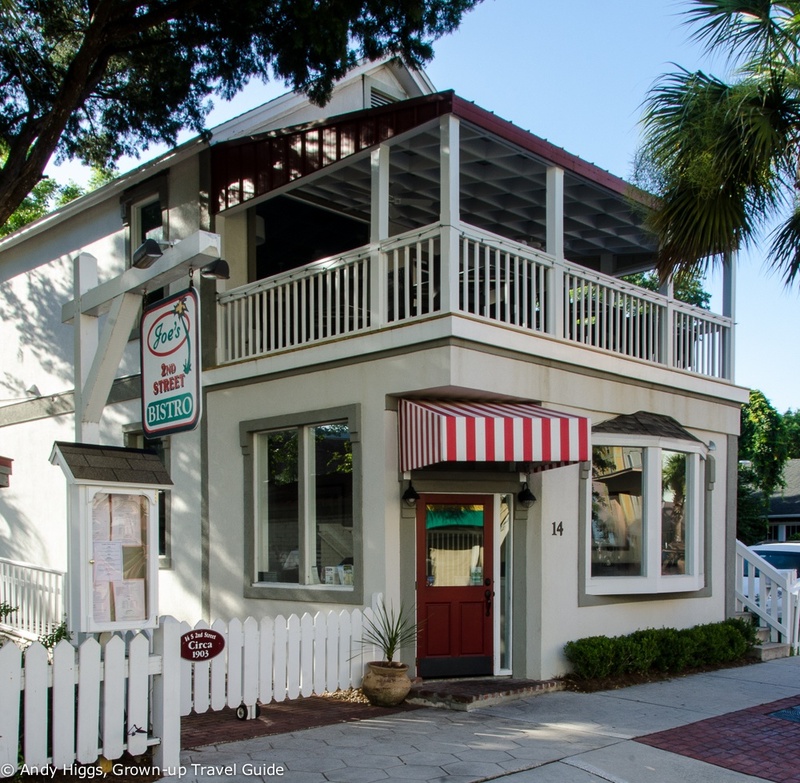 Like St. Augustine, Amelia Island has a number of high-end bed and breakfast establishments where guests can be pampered in stylish and historic surroundings and it also has a good number of modern hotels and luxury resort-style properties to choose from. We were very happy with the Hampton Inn & Suites which I reviewed here and the location could not be much better for the downtown area. Many visitors choose to stay nearer the beaches but I’d recommend being based near town to enjoy the laid-back atmosphere. You’ll also be pleased to hear that Amelia Island is winning accolades for its dining – there are a disproportiante number of excellent eateries for such a tiny place. Which is nice. After unpacking and having a refreshing swim in the hotel pool we set off to explore the old town – on the 4th of July, of all days. Fernandina is a really friendly and welcoming place and it took us no more than fifteen minutes before we knew all about the celebrations and fireworks that were planned for the evening. Thus informed we were able to make dinner plans around the festivities and secured a reservation at Joe’s right across the street from the Hampton. With an outdoor seating area in the garden, we would then be able to see the fireworks while sipping an after-dinner espresso. 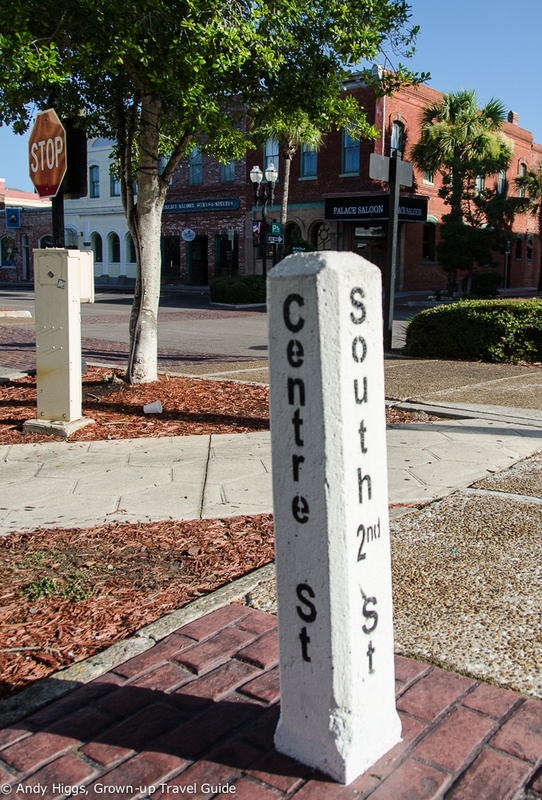 Yes you read that right – there aren’t many places in the USA where the word ‘centre’ is spelt correctly, but this is one – it’s a hangover from times gone by when Fernandina Beach was ruled by the British who named the streets. 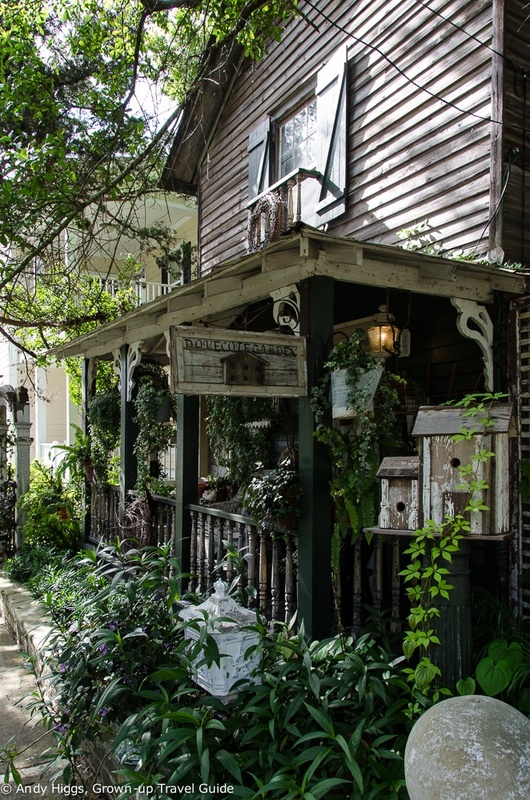 The historic district spreads from Centre Street and oozes charm and Southern classiness. Many of the buildings date back to the late 1800s and just wandering around is a real pleasure. 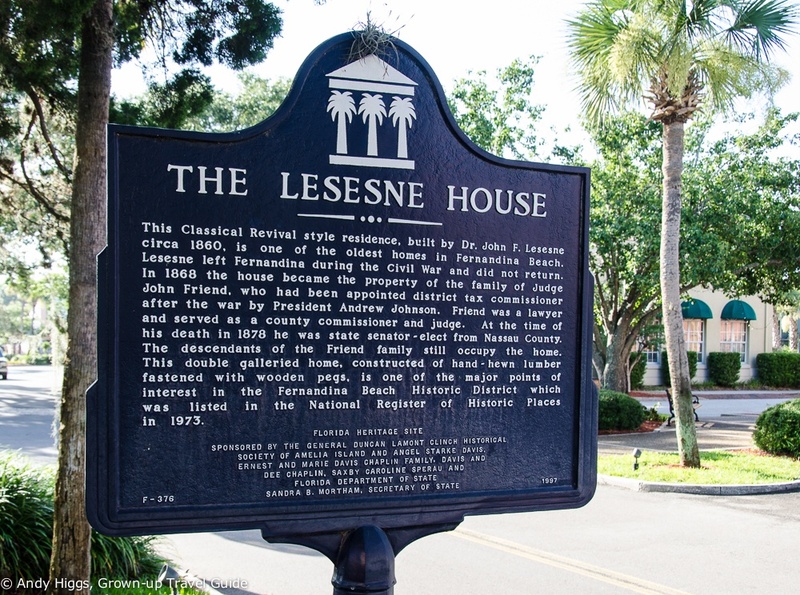 Informative signs provide insight into the history of the buildings but for the full picture visit the Amelia Island Museum of History where you’ll find exhibits dating back over 4,000 years. The museum itself is found in the old Nassau County jail building, but these days they’ll let you leave whenever you like. Other downtown activities include tours led by guides in period costume, ghost tours and the chance to ride in a horse-drawn carriage to really get that authentic old-town feel. Centre Street is paradise for antique and souvenir hunters, but you’ll also find jewellery and clothing shops, art galleries and some excellent bookstores. Fernandina Fantastic Fudge (“home-made”) is a popular treat and souvenir. Head to Palmetto Walk for some stylish home decor to take home. Downtown is also where you’ll find the Florida House Inn which is Florida’s oldest surviving hotel and it’s oldest surviving watering hole in the shape of the Palace Saloon. Whether or not this is true you can often see shrimp boats in the distance from the waterfront and ask around to see if you can try wild-caught shrimp when eating out. When you’ve had enough of history and culture or just fancy a dip, head to the eastern side of the island and make the most of the gorgeous sands and pleasantly warm water. If lying in the sun sounds too boring you can join a guide for a horseback trot along the waterfront or why not try ticking surfing off your to-learn list? Several shops offer lessons and are patient with complete beginners. When it’s time for a cold beer try Sandy Bottoms Beach Bar where you can also get snacks, burgers etc. We found the food surprisingly good and the vibe was laid-back and easy-going; in other words what you want in a beach bar, right? 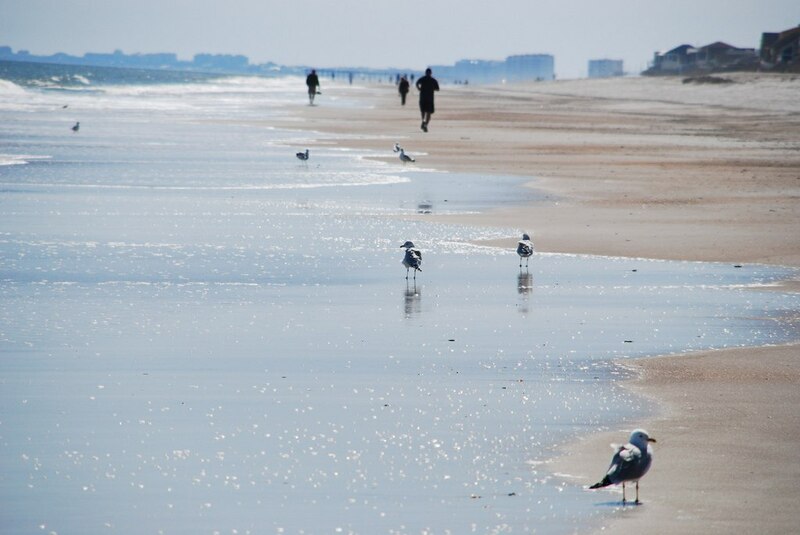 Another beach pursuit which many visitors associate with Amelia Island is beachcombing – specifically looking for sharks’ teeth. Sand dredged from nearby channels is returned to the island to replenish the beaches every few years. Over time this sand reveals its bounty which often includes black, triangular sharks’ teeth which are millions of years old. Perhaps even more often these ‘teeth’ turn out to be shell fragments, but patience is usually rewarded eventually. Low tide is said to be the best time to try your luck but if all else fails you can buy one on Centre Street as a souvenir. And pretend you found it, if that rings your bell. Dolphin and osprey can be seen here and you might even have the good fortune to see Florida’s gentle giant, the manatee or the right whale – both of which are endangered species. 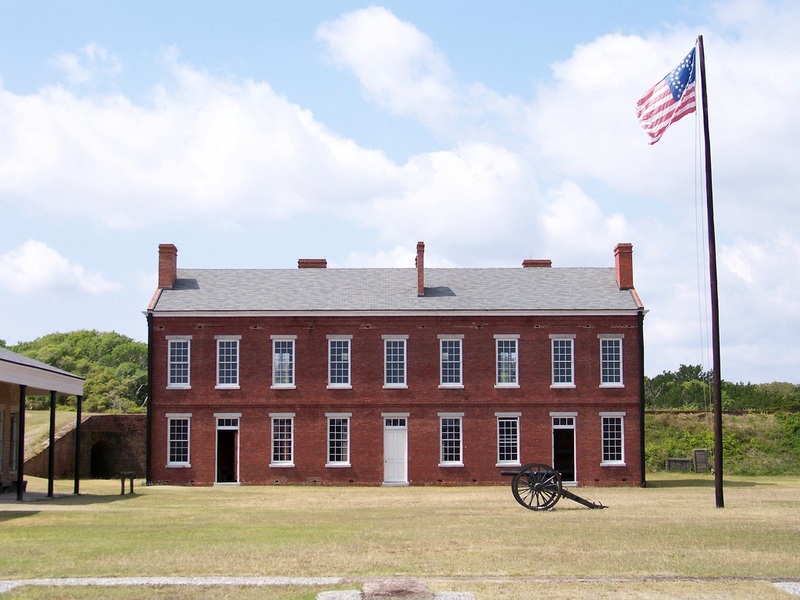 The Fort Clinch in the title is one of the best-kept 19th century ones in the USA. You can opt to be shown round by a costumed re-enactor or explore on your own. The park has a good beach too and offers ample opportunities for hiking, biking and fishing. 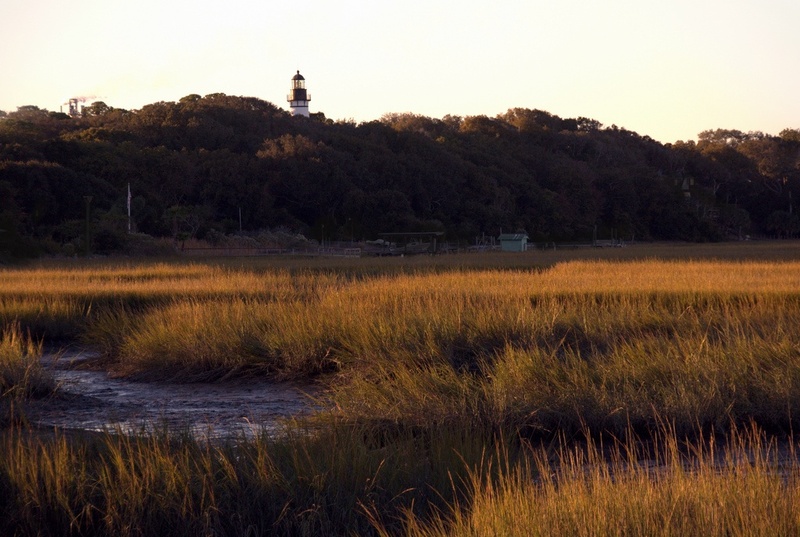 It’s a great place to get away from it all – not that there is a lot you need to escape from in Fernandina Beach. But you get my drift – for isolationists, this is a good bet. Less well-known that Fort Clinch, Egans Greenway is another large area of natural beauty which is very close to the town centre. Again, walkers and cyclists will love it here and it also has an abundance of birdlife such as herons, egrets and spoonbills. You can take part in a guided tour but advance booking is required and tours are infrequent. Check at the Fernandina Beach Recreation Center on Atlantic Avenue for the latest information. Perhaps a more practical proposition is to visit on your own – the lighthouse is open for a few hours on Saturdays but no tours are available at these times. So to give the Palace Saloon its full accolade it is the oldest continually-operatinbg drinking establishment in Florida, which would already make it worth a visit. The fact that the actual bar is made of 40 feet of hand-carved mahogany and that you can enjoy live music at the weekends add to the appeal. Oh and the Palace’s signature drink, Pirate’s Punch, is the icing on the cake. Very strong icing, mind. In a way I feel a little guilty in reporting that we ate in the same restaurant both nights we spent on Amelia Island, namely Joe’s 2nd Street Bistro. On the other hand, that is quite a recommendation – the food was superb as was the service and we enjoyed great wine pairings with our meals on both occasions. You may find it hard to go elsewhere too – but just make sure you go here no matter what. Now there was another eatery I got to try, but this is THE place to come for a huge American style breakfast or brunch as they close at lunchtime. There’s no sign on the building but you can’t miss T-Rays which is found in a former petrol station. Chances are there will be a queue snaking out the door or at the very least a lot of cars parked in the forecourt and for a good reason – diner-style, no-frills but delicious and good value comfort food. Finally I thought I’d share a couple of shots from the 4th of July down by the harbourfront. As you can probably tell it was a beautiful warm Florida evening for our first ever 4/7 in the USA and we could hardly have been in a more friendly and relaxed place to enjoy it. 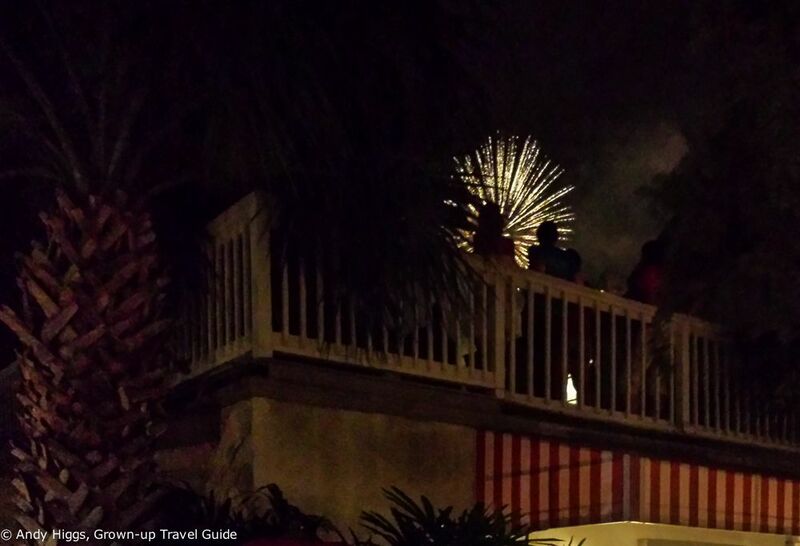 It wouldn’t be 4th of July without fireworks – and the display was a good one in Fernandina. I was too well settled at Joe’s to go get a closer look – but I think this view was pretty acceptable. Beautiful Florida. Not just great beaches but well maintained historical properties too. I want to check Amelia Island when I go back to Florida again.